I have a gift for throwing parties. It’s sort of a thing I do. Birthday parties, baby showers, you name it. I love to plan the food, the music, the decorations, the activities, the invitations — all of it. My husband learned this about me just weeks after our wedding. A friend was having a baby, so I transformed our living room into a tea shop. Yes, that meant moving all the living room furniture onto the back porch to make room for the little bistro tables and chairs I’d rented. But it was oh-so-worth-it. Then there was my mom’s surprise 50th birthday party in the backyard and our daughter’s Sweet Sixteen mystery dinner. Yeah, I wrote the script for the mystery. I look for any excuse to plan a party. I love celebrating the people I love. But I’ve never been very good at celebrating me. I want my own birthday to come and go with as little fanfare as possible. Not because I mind getting older, but because I’m uncomfortable with all the attention. And not just on birthdays, but every day. Wherever I go, I prefer to sit near the back, perhaps close to a wall, maybe behind a plant. Okay, I’m kidding about the plant. But it’s a thing…and it’s hard to explain. Because I have other moments too — moments when I feel like a seven-year-old who’s unsure about diving into the deep end but really, really wants to. I want to dive in. I want to invite people in. I want to open up and share. I want to, but do I dare? Well, this year I did. I dove straight headfirst into the deepest deep end. And here I am, with my heart open wide, inviting you all to come in. All these years I’ve hesitated to celebrate me? Maybe it’s because I was waiting to show you the real me. In one way, that’s what Deeper Waters is…it’s the real me. It’s the stories I saved, waiting for the right moment to tell. But it’s not just about me. It’s about all of us really. It’s about the inevitable twists and turns our faith journeys sometimes take. It’s about the heartaches that hurt so deep it’s hard to find words. This past week we’ve seen the pictures and read the stories coming from Houston, and our hearts are breaking. For many, their lives will never be the same again. Even if we’ve never had our home flooded with deep waters, most of us have experienced the sorrow of a serious life-changing event, and our lives remain split between the before and after. Life before the car accident. And life after. Life before the cancer. And life after. Life before 9-11. And life after. The way lightning from heaven splits a tree to its core, calamity separates time. Our lives become forever oriented to its strike, and the brokenness in its wake leaves us reeling, not knowing how to move forward. 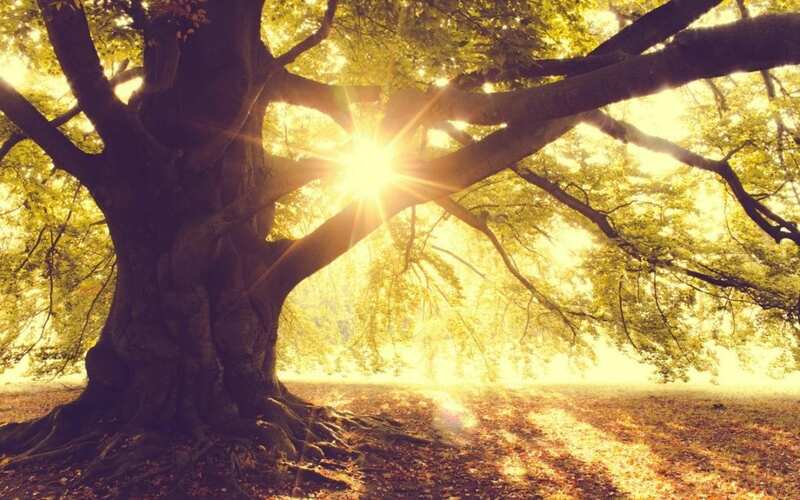 More often than not these experiences define our being, shaping — or misshaping — our views about God and prayer and faith and hope, rendering the broken ever more broken. I know that’s what happened to me. I grew up going to church. But the God I thought I believed in turned out to be very different — but also more — all at the same time. And now, today, my very first book is released into the world. I want to hang streamers and pop balloons and toss confetti. I want to throw open my front door and invite everyone in. But I’m also aware, deeply aware, that people are hurting right now, this very minute. Countless families are without homes. I know what this is like. I’ve been there. Without a home. And only one change of clothes to call my own. If this season for you is a time of weeping and mourning, I wish I could come and sit with you. To bring a pot of tea with two cups and listen to your story. To tell you how sorry I am for all you’re going through. And I wouldn’t dare breathe one of those platitudes that undercut real suffering. If this season for you is a time laughing and dancing, I’m so very glad to know it. Because we all need to be reminded now and again that though our weeping may last for the night, joy is sure to come in the morning. It’s a promise (Psalm 30:4-5). For a lot of years, I waited for that joy that was supposed to come in the morning. And I’ll be honest…I thought it was a long time coming. But then a day came when the shattered pieces of my life began to form a mosaic of redemption I couldn’t yet see while I was still in the middle of so much brokenness. To my own surprise, the sorrow I lived and breathed evaporated, replaced by an unexpected joy. No one was more taken aback when a smile broke into laughter, and I realized it was my own. 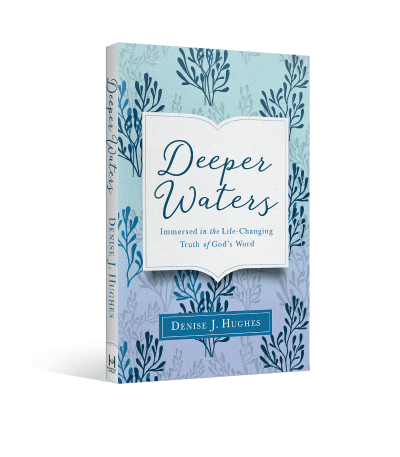 I’ve learned from experience…that when the deep waters of suffering threaten to take the very breath right out of us, the deeper waters of life with God speak hope into the impossible. so that’s one for you and one for a friend! tagging the friend you nominate to win, and then share this post! The winners and their friends will be randomly selected 9/2/17 at noon PST.